There are several ways to increase your options trading education. Most of them simply require your time and may not cost any money upfront. While there are plenty of other methods for learning about options trading, here are 3 commonly used opportunities. Mentor – Starting a relationship with an options trader as your mentor is probably the best way to learn. There is nothing better than using real life examples as part of your options trading education. Books, publications, and other hard copy materials can offer great material – but nothing compares to first hand experience. Having a mentor will give you a clear advantage over your competition. Simulated Trades – If you have an account with an online broker, then you may already have the ability to place simulated options trades. This can be a great learning tool for those looking to increase their options trading education. Buying and selling options through simulated trades is first hand knowledge of how the overall stock market works, without the risk of losing actual money. Books & Publications – While not the cheapest option, using books or other publications to increase your online options education works very well for some investors. You may also look to sign up for member websites or look to low cost eBooks to further your education. Try not to spend a lot of money on these as you can probably find a lot of free information as well. As with anything in life, education is crucial for success. If you have the knowledge, then you can do anything you set your mind to. 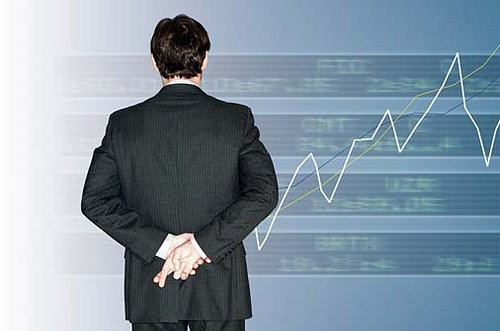 This includes online options trading as well as becoming a savy investor of the stock market. If you are powered with the right information and are able to learn from your mistakes, there is no telling what kind of investor you can be!